Another mixed forex trading week for the HLHB System! 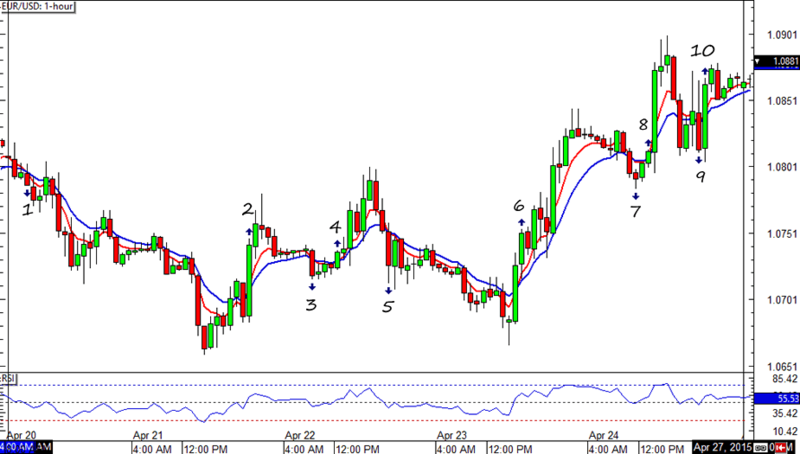 This time potential profits from EUR/USD and GBP/USD were mostly choked by trailing stops. Eep! The HLHB System did a pretty good job catching a few pips despite the pair still showing fakeouts. Most of the action happened early in the week with three winning trades and two losing trades translating to a net gain of 19 pips. Not bad for a not-so-trending week for EUR/USD! 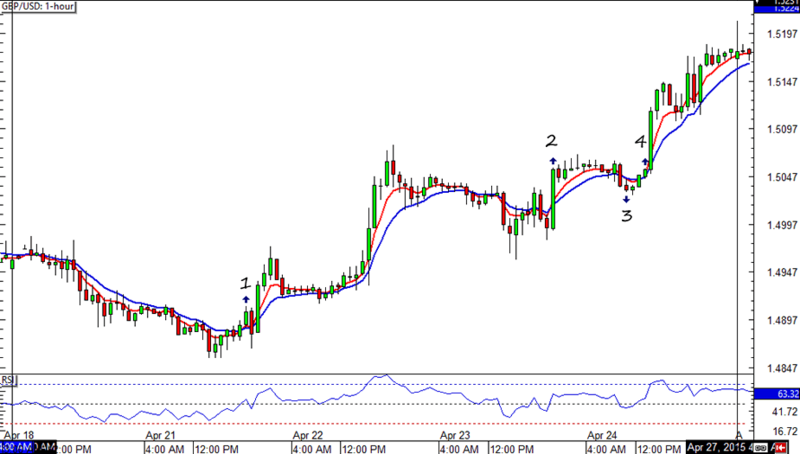 GBP/USD’s first signal would’ve been yielded tons of pips if it hadn’t hit the system’s trailing stop. Unfortunately for the HLHB System, signal #2’s loss was bigger than signal #1’s gain. This translated to a net loss of 3 pips for the week. Better luck next time, huh?